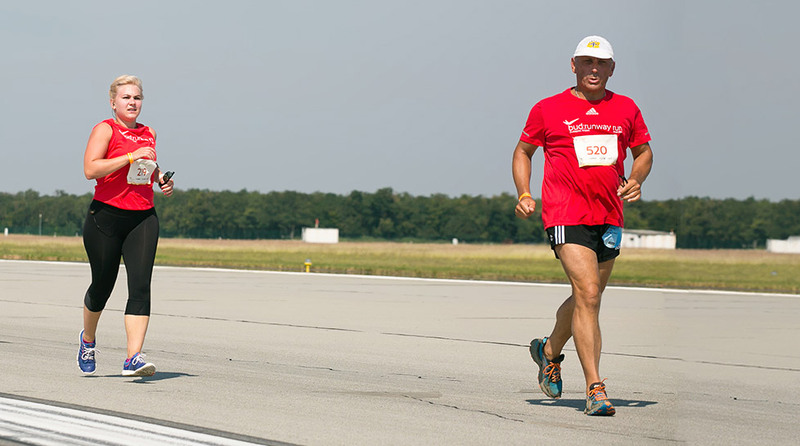 On September 3rd, 2016, the #RunwayRun held its fourth edition. This charity event notably sponsored by Budapest airport, Qatar airways, Airbus and anna.aero had more than a thousand participants. The charity run sponsored two organisations : SUHAJ (a Hungarian NGO to establish fitness centre new gym dedicated to special needs of handicapped people) and Anthony Nolan NGO from Great Britain (offering support to those suffering from cancer). Two distances, 5km and 10km, were run by aeronautical professionals – industries, airlines, airports – coming from all over the world. Airbus actively contributed to safety of this event, by equipping their participants with ROPS by NAVBLUE stickers to ensure they avoid any runway excursion 😉 ! Airbus Team finished 6th out of 38 teams (official team results here). Congratulations to all the participants, and see you next year!